St. Anthony Shrine celebrates the Sacrament of Penance every day. The confessionals are located in the First Floor Church. 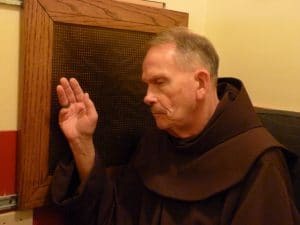 Both traditional and face-to-face Confession can be accommodated in the confessionals.